I started my metaphysical learning and healing the later part of 2017. I realized that I needed a different spiritual outlet outside church every Sunday. 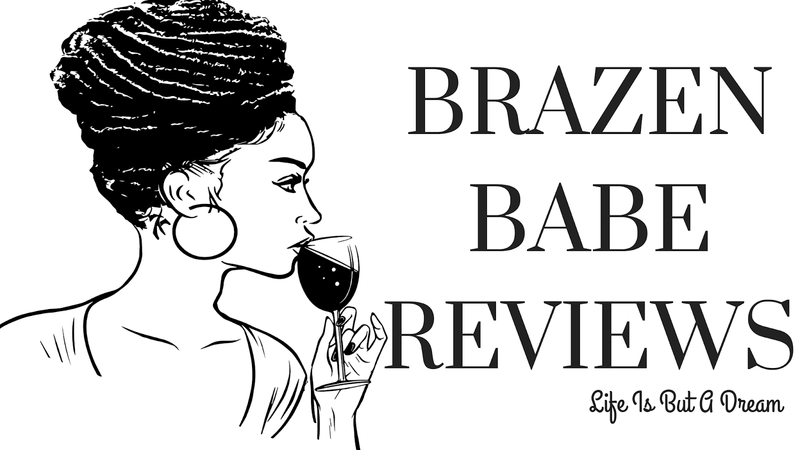 I'm not here to bash the Lord and I still believe in a higher power But we all have our ways of worshiping and I decided to take a different approach with my spiritual journey. Some of my family members are doing complete head spins, lols but that is a post for another day. Smudging was one of the first things I started doing when I started this journey. Smudging is the practice of clearing negative energies from yourself and your space through smoke. Its also used to purify and/or bless people and places. Many cultures smudge but Smudging has been traditionally used by First Nations and Native Americans. There are also different items to use when smudging but sage sticks seem to be the most popular. Below are some of the sage tools that I use. Figured I pose them with some of my books for a pretty setup. 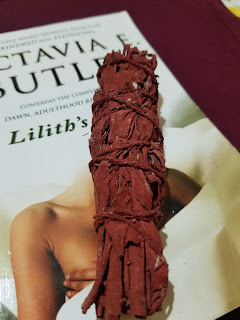 White Sage dyed with Dragons Blood Resin, I just purchased this one this past weekend and thought it was so cool. 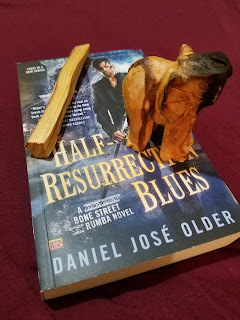 Palo Santo (stick and elephant). As you can see, I've already used the elephant. Standard White Sage. You don't always have to use sage or palo santo. These two options are the most powerful though. Some people use candles or the little incense cones. You can also find some sage sticks that have lavender, wildflowers and the sort combined. From what I gather, when combining these items with white sage, it cuts the smell. Sage has a strong scent so usually when I smudge, I do so in my unmentionables lols. I highly suggest cracking a window while and after smudging yourself and your space. You can also burn a sweet smelling incense afterwards. Oh, also be sure to have your smudging bowl and some folks like to use a smudging feather to fan the smoke. 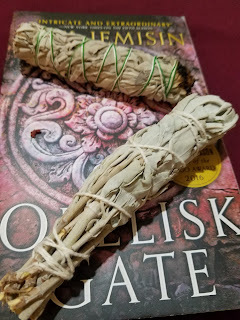 I provided a couple of text links should you be interested in learning about Smudging along with two videos that show the process in action. 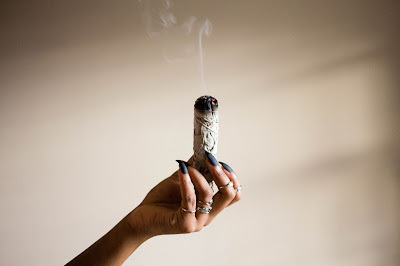 The Sage Goddess - Smudging 101 | Mindful Daily - Smudging 101. If you smudge and don't feel like you've really "cleared" anything, then I have to say that you must believe that it is working for you. I think and I can surely attest that when most first go into metaphysical practice, you may have the sense of not truly "believing in" any of it. I will tell you that most teachings and healers will tell you it all about your "intent" or "intentions". Simply, if you don't think this process is working for you, then it won't. It's truly that simple. I feel so much better after I smudge and I try to smudge at least once a week. I fell off a little but I'm definitely being more proactive this new year. Until the next post..Lata Days! I've used burning candles/scents for health purposes and found it beneficial and I think burning scent fits well with religion- the Bible talks about 'burning incense' at times if I remember correctly. How interesting! I love that your experimenting with your spiritual journey and I look to forward to seeing more of your posts in this series in the future.